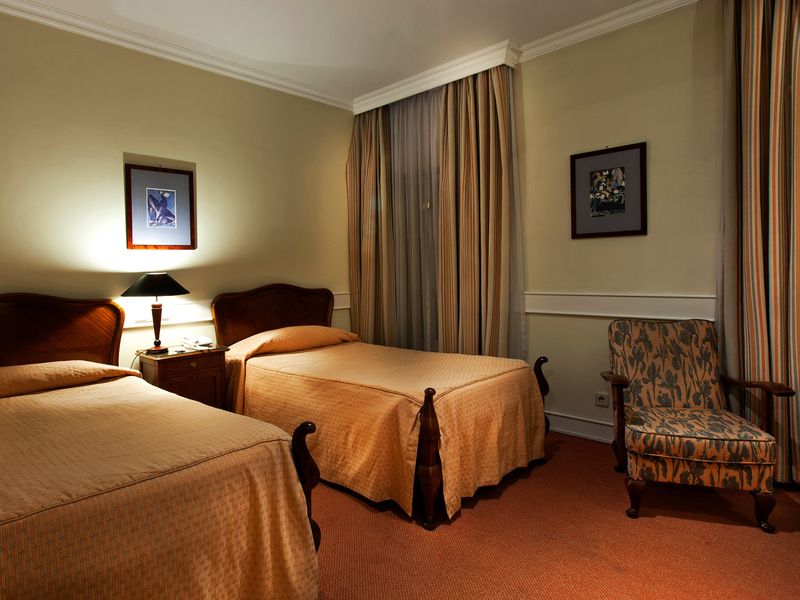 Centrally located right on the Rossio Square, the heart of historic Pombaline Downtown of Lisbon, and with the very best of this fascinating city at your doorstep, the Métropole is a classical hotel known to those who know since 1917. The location of Hotel Métropole is perfectly unique for discovering the heart and soul of this nostalgic city: overlooking the charming "Pombaline" square, and set between the poetic Chiado with the trendy and bohemian Bairro Alto, the popular Baixa, the cosmopolitan Avenida da Liberdade and the picturesque Alfama and Mouraria, next to old cobbled streets, and in perfect walking distance from the river, and from all major historical sites and traditional downtown shopping. The hotel features a revivalist setting reminiscent of of the 1920's, with original époque furnishings that enhance its warm and intimate atmosphere. The charming lobby on the 1st floor, with large windows overlooking the square and the castle hovering in distance, provides the most fabulous décor for breakfast. Each of its guestrooms has its own character and is individually styled and decorated, varying in shape, layout and interior, and feature prints by Almada Negreiros. 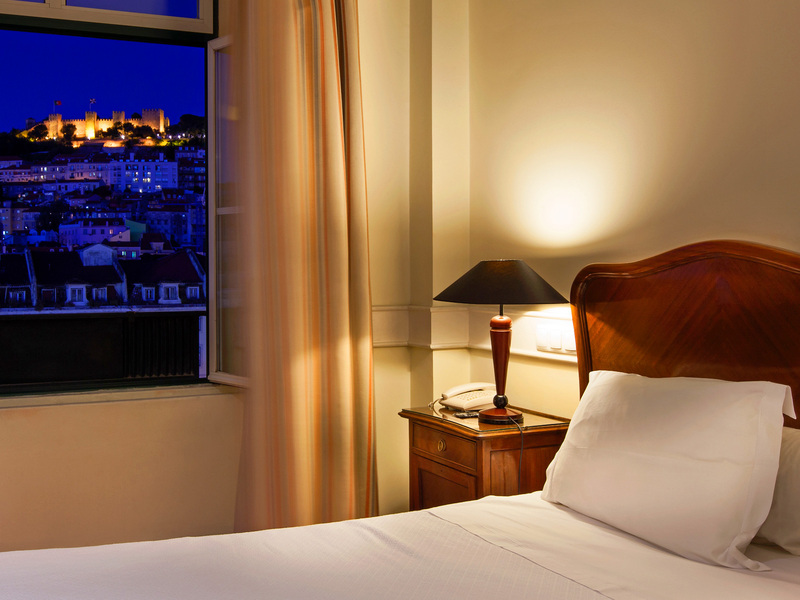 Upper floor rooms facing the Rossio have spectacular views "to die for" over the large square and over the impressive St Geoge's Castle, on the nearby Alfama Hill. In all, a most authentic and wonderful experience of Lisbon.